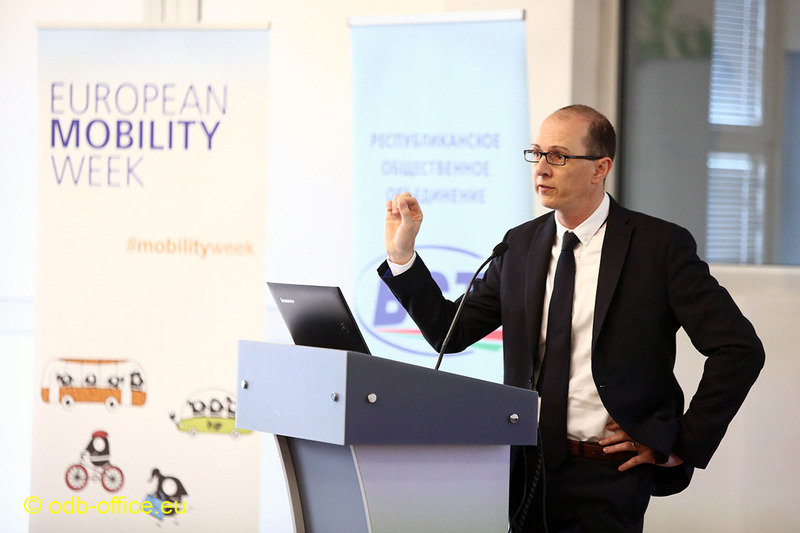 On occasion of the European Mobility Week 2016, a specialized seminar was organized in Minsk dedicated to improvements of the transportation system in accordance with European standards. How to make traveling around the city environmentally friendly, high-speed and comfortable, how to combine different modes of public transportation and how to make city spaces more convenient for the residents. 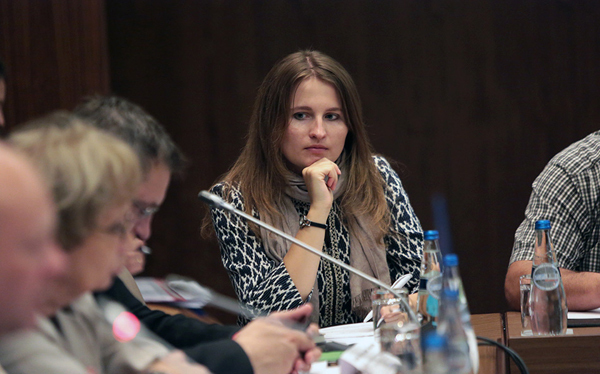 Minsk has hosted a round table "Enabling sustainable mobility in Belarus". 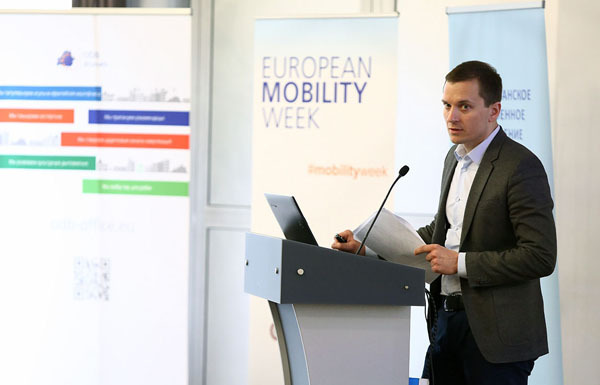 The event was organized by the United Nations Development Programme in Belarus on the occasion of the launch of the European Mobility Week, which is to be held in 17 Belarusian cities from September 16 to 22, culminating in the Car-Free Day. 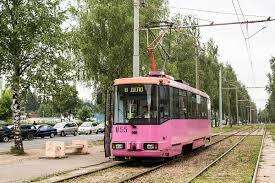 This is the second European Mobility Week for Belarus. Uladzimir Pryshchepau, Head of the Section of Road Network and Transportation of "Minskhrada", presented the capital city transport development concept to participants of the seminar "New Tools for Integrated Urban and Transport Planning", explaining why preference should be given to rail transport. These are the provisions of the new 2030 Minsk general development plan. With each passing year Belarus is becoming more and more urbanized, and the growth of its cities goes hand in hand with the ever increasing mobility of its population. Experience of foreign countries demonstrates that city authorities should be concerned not just with ensuring comfort for motorists but also with building a sustainable urban mobility system convenient for all social groups. 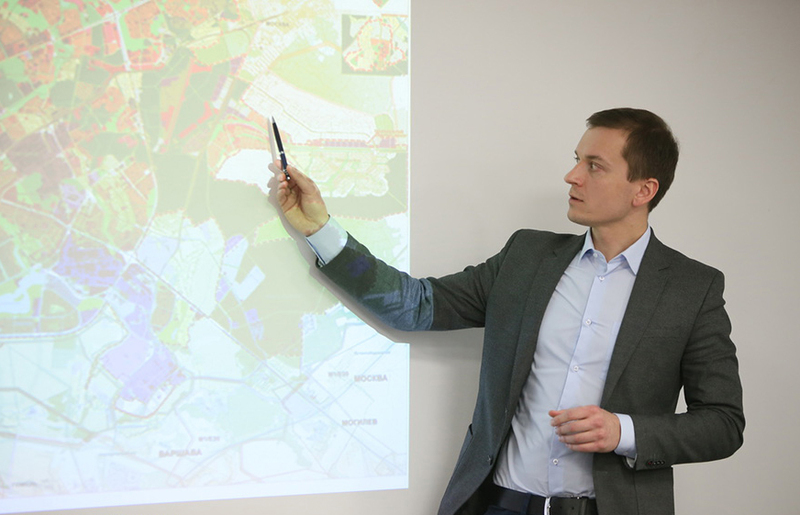 Participants of the seminar "New Tools for Integrated Urban and Transport Planning", which was held in Minsk, discussed how to switch from traditional planning to innovative approaches. 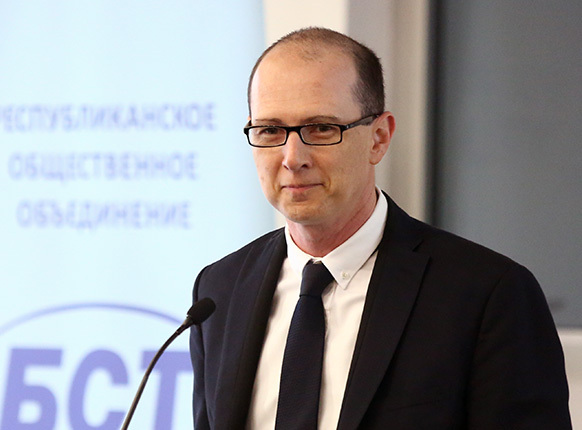 Jerome Simpson, Senior Expert at Smart Cities and Mobility programme (Budapest, Hungary), was one of the foreign experts invited to the event. He presented international urban mobility trends which can also be relevant to Belarus. How Can We Achieve Sustainable Mobility and Make Cities More Livable? How can we ensure sustainable mobility for city residents and make Belarusian cities more livable? Participants of the seminar "Sustainable Mobility: Time to Unite and Act" held in Minsk discussed factors that influence mobility of city residents, as well as ways to make city transport more environmentally friendly and cost-effective. 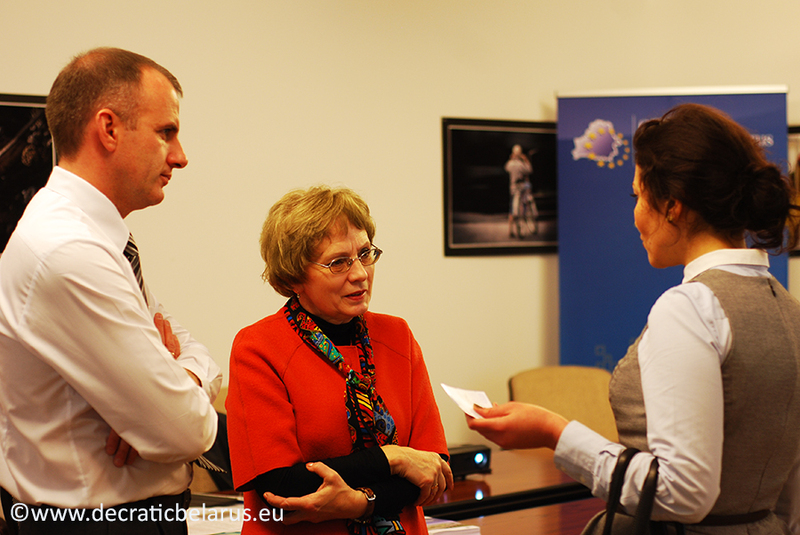 The event was organized by ODB Brussels and the Belarusian Union of Transport Workers. 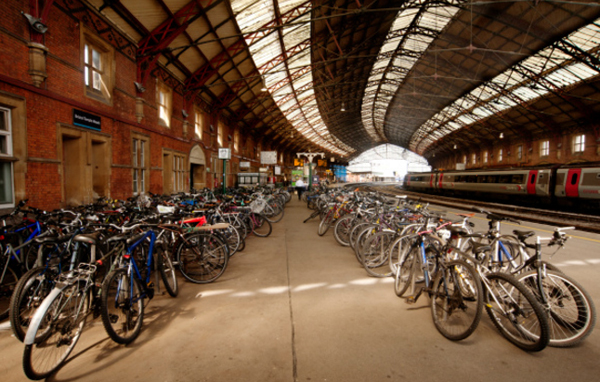 What is environmentally sustainable transport? How do you make transportation safe and accessible for all categories of passengers? How is travelling on foot connected to urban issues, and why must urban developers plan for a combination of all transportation modes for people? In what ways does the economy of cities and regions depend on the transportation infrastructure, and how can it influence the standard of living? Representatives of the Belarusian Union of Transport Workers who took part in the seminar "Environmentally Sustainable Lifestyle: Small Steps, Big Change?" shared their experience. The Office for a Democratic Belarus is finalising the current stage of its programme "EU and Belarus: Sharing Knowledge" aimed at exchange of expertise among Belarusian specialists in different areas and their colleagues from the EU Member States and countries of Eastern Partnership Initiative. In the course of two years Belarusian experts on transport, energy, and higher education participated in the international seminars, round-tables, and study tours sharing their own and learning from the most successful transformation experience of their colleagues. One of the results achieved under the project, a 'Concept on Harmonisation of Passengers' Transportation by Automobile Transport with the EU Norms and Standards' , was presented in Brussels on 14 October by the Office for a Democratic Belarus and its partner organisation, the Belarusian Union of Transport Workers. The Office for a Democratic Belarus is finalising the current stage of its programme "EU and Belarus: Sharing Knowledge" aimed at exchange of expertise among Belarusian specialists in different areas and their colleagues from the EU Member States and countries of Eastern Partnership Initiative. In the course of two years Belarusian experts on transport, energy, and higher education participated in the international seminars, round-tables, and study tours sharing their own and learning from the most successful transformation experience of their colleagues. One of the results achieved under the project, a 'Concept on Harmonisation of Passengers' Transportation by Automobile Transport with the EU Norms and Standards' , was presented in Brussels on 14 October by the Office for a Democratic Belarus and its partner organisation, the Belarusian Union of Transport Workers.